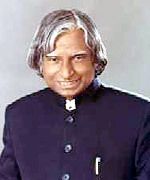 The President of India is the head of state and first citizen of India. 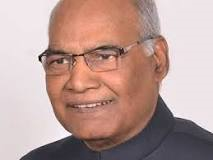 President is popularly known in Hindi as Rashtrapati, a Sanskrit neologism meaning "lord of the realm".The President is also the Commander-in-Chief of the Indian Armed Forces. Although the president is vested such powers by the constitution of India, the position is largely a ceremonial role and the executive powers are de facto exercised by the Cabinet Ministers and Prime Minister. The President is elected by the Electoral College composed of elected members of the parliament houses, Lok Sabha and Rajya Sabha, and also members of the Vidhan Sabha, the state legislative assemblies. Though the President of India is a constituent part of Parliament, he does not sit or participate in the discussions in either of the two Houses. There are certain constitutional functions which he has to perform with respect to Parliament. 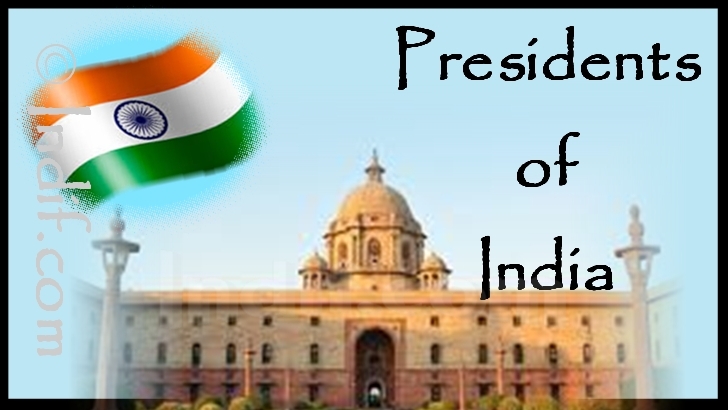 The President may remain in office for a tenure of five years, as stated by article 56, part V, of the constitution of India. In the case where a president's term of office is terminated early or during the absence of the president, the vice president assumes office. The President may be removed before the expiry of the term through impeachment. A President can be removed for violation of the Constitution of India. 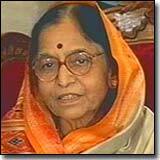 A Minister of the Union or of any State (Including Prime Minister and Chief Ministers). 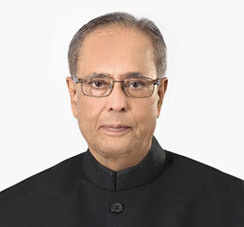 The President invites the leader of the majority party to form the Government after a new Lok Sabha is duly elected. The President nominates 12 members of the Rajya Sabha and has the right to nominate two members from the Anglo Indian community to the Lok Sabha if they are under-represented. On the advice of the Executive, the President summons the two Houses of Parliament to meet from time to time. The President has the power to call both Houses for a joint sitting in case a dispute arises over passing a Bill. In the joint sitting, the matter is decided by majority vote. The President has the right to address either or both Houses of Parliament. The President has the power to discontinue a session in the two Houses and dissolve the Lok Sabha. The President has the power to appoint the Speaker of the Lok Sabha and the Chairman of Rajya Sabha on an interim basis. The President has to agree to sign a Bill before it can become a law. If the Houses are not in session, the President can enact or promulgate Ordinances having the same validity as a law passed in Parliament.